Gary McGraw is the former vice president of security technology at Synopsys (SNPS). He is a globally recognized authority on software security and the author of eight best-selling books on this topic. 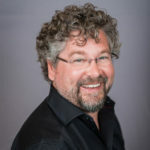 His titles include Software Security, Exploiting Software, Building Secure Software, Java Security, Exploiting Online Games, and six other books, and he is editor of the Addison-Wesley Software Security Series. Dr. McGraw has also written over 100 peer-reviewed scientific publications, authors a periodic security column for SearchSecurity, and is frequently quoted in the press. Besides serving as a strategic counselor for top business and IT executives, Gary is on the Advisory Boards of MaxMyInterest, Ntrepid, and RavenWhite. He has also served as Advisor to Dasient (acquired by Twitter), Fortify Software (acquired by HP), and Invotas (acquired by FireEye). He holds a dual Ph.D. in cognitive science and computer science from Indiana University, where he serves on the Dean’s Advisory Council for the School of Informatics. Gary served on the IEEE Computer Society Board of Governors and produces the monthly Silver Bullet Security Podcast for IEEE Security & Privacy Magazine (syndicated by SearchSecurity). BSIMM7 is now available: What’s new? Posted in Maturity Model (BSIMM) | Comments Off on BSIMM7 is now available: What’s new? Does software security training make economic sense? Yes. It does. Posted in Security Training | Comments Off on Does software security training make economic sense? Yes. It does.